Strongbow may still dominate at the pumps, but when it comes to bottles and cans of cider, Kopparberg is king. These Swedish ciders are consistently in the top two or three of the sales charts across pubs and off-licences. It’s all the more remarkable considering that they’re relative newcomers. 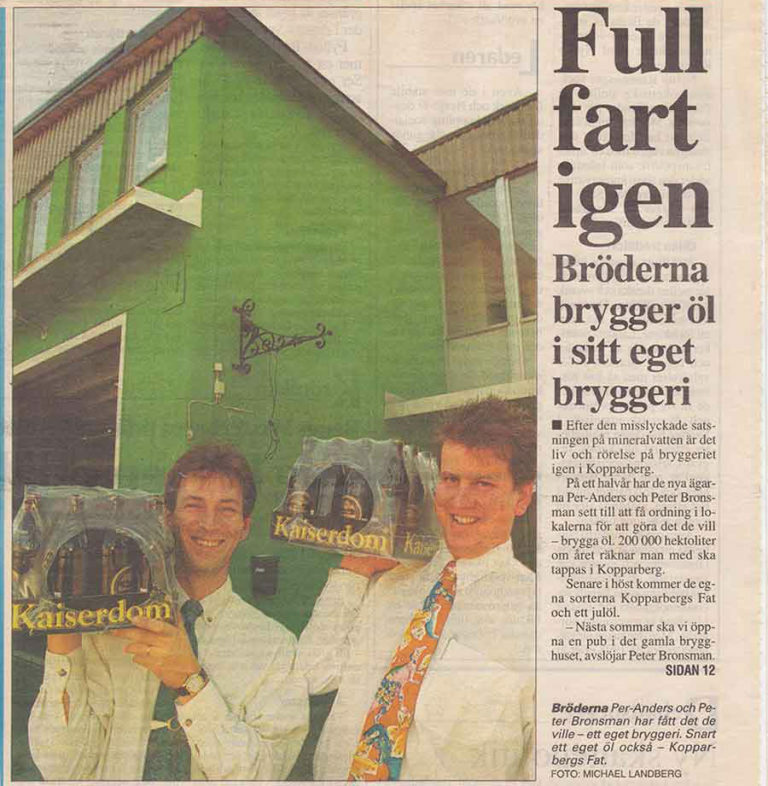 It was in 1994, that brothers Peter and Dan-Anders Bronsman got started on their mission to make Swedish cider great again. And they’ve only been exporting to the UK since 2006. As their makers are the first to admit, Kopparberg ciders are sweet. Very sweet. They don’t look much like cider either. They’re either very pale – almost clear – or various shades of red from the addition of other fruits. Either way, they’re about as far from traditional cider as you can get without actually not being made from apples. If you’re a cider connoisseur (or cider snob, depending on how you look at it), you probably won’t like them very much. That said, there clearly is a huge demand for sweet, easy-drinking ciders, as the phenomenal rise of Strongbow Dark Fruit shows. If you’re part of this growing trend, then 0% Kopparberg Mixed Fruit may be just the drink for you. Having compared it with its 4% equivalent, we really can’t tell the difference. So, if you like fruity cider and also like keeping a clear head, go for it! We give it 4 out of 5 for being a great alcohol-free version of what it is.